RICK HALE is an associate editor of Spooky Isles. A native of Chicago, Illinois, Rick has had an interest in anomalous phenomena since having a positive encounter with an apparition at an early age. Rick is the author of The Geek’s Guide To The Strange And Unusual: Poltergeists, Ghosts & Demons. And the newly released Behold! Shocking True Tales Of Terror… And Some Other Spooky Stuff, both can be found at Amazon.com. Rick has been published by The Supernatural Magazine and Paranormal Underground Magazine. Rick also appeared in Ghost Tapes 2 and several episodes of Ghost Tapes The Series found in YouTube.com. Praa Sands is a small village situated along the Cornish coast near the town of Penzance. For many years the village was an integral part of the local mining industry. When the mines slowed down, Praa Sands took advantage of its pristine white sand beaches and beautiful landscape. And created a booming tourist industry that exists to this day. 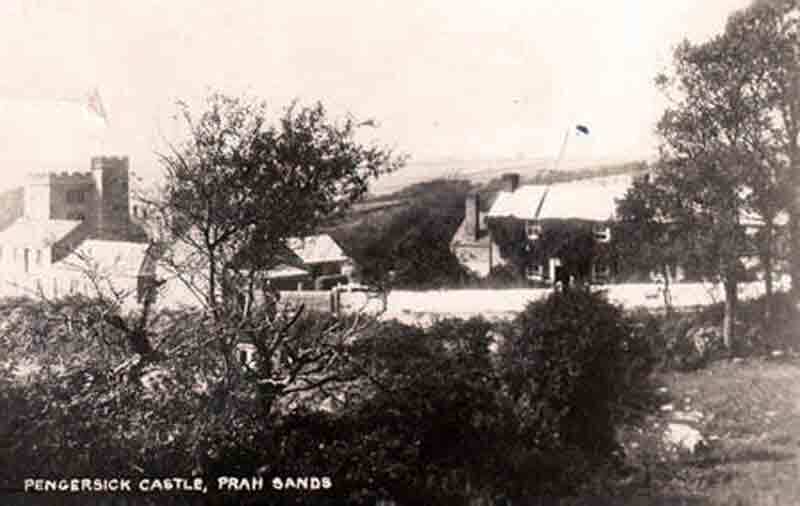 Praa Sands is also home to Pengersick Castle, a Grade I listed fortified manor house, where centuries of life and untimely death has made it one of the most haunted buildings in England. The history of Pengersick Castle began in the 12th century, when the powerful Pengersick family built a manor house that is part of the castle to this day. The Pengersick family enjoyed decades of prosperity until a plague wiped out the entire family. Except for one daughter who managed to survive and went on to marry a prominent family from Penzance. During the reign of Henry VIII, the Milton family acquired Pengersick Castle and enlarged the house. In 1530, John Milton, high sheriff of Cornwall expanded the home further using the proceeds from the wreck of a valuable Portuguese ship. Today, the castle is owned by a trust set up by Angela Evans, a former owner who passed away not long ago. The trust’s mission is to restore the castle to its former glory and maintain its beauty. Even its many ghosts. A common problem paranormal researchers face is separating legend from a true historical haunting. Pengersick Castle is no different in this regard. Rumours of this castle being haunted have abounded for centuries. Rumours of the castle being haunted were so well known, Yvette Fielding and her show, Most Haunted investigated the castle in 2003. And their investigation only furthered the many stories that surround the castle. One of the most enduring legends at Pengersick was the devious work of Sir John Milton. According to legend, Milton hated his wife so much he attempted to kill her by poisoning her goblet of wine. Wise to the plot, Lady Milton switched the goblet on her husband. Oddly enough, seeing the hatred the two had for each other, the devil took both their souls that night. It would seem the devil failed to claim the soul of John Milton, as his ghost has been seen wandering the halls of the castle late at night. He appears to stick to the shadows possibly planning another murder from beyond the grave. Whenever people report seeing a ghostly monk, they typically describe it as wearing a hooded robe and giving off a sense of dread. Not so with the monk witnessed in the wooded area by the medieval garden. This monk is said to be a happy man wearing a smile and a wide brimmed hat. When seen, he is said to be smelling the flowers and then slowly fades from view a few moments later. A number of guests have reported being awakened in the middle of the night to an unexpected sight. The apparition of a young woman has been seen gazing out the windows into the dark of night. She then turns, and with a pained look on her face, grabs her stomach. She then crosses the room, lays on the bed and vanishes. No one knows who this young woman was, however, some believe the pain in her stomach may have been due to her being poisoned. A young girl has been witnessed in the battlements dancing to music that only she can hear. She is believed to be a teenaged girl who loved to dance and found her stage at the highest point of the castle. One fateful day, as she was lost in her dance, she lost her footing and fell to her death. Not only is she seen dancing, but she is also known to push anyone who might be in her way. Over the years, several female visitors have reported feeling the hand of a small child slipping in to theirs. Whoever this ghost child is also appears to have a mischievous streak, as he likes to tug on women’s dresses and has been heard running off with a giggle. Among the most commonly reported supernatural activity in the castle is phenomena not attributed to the phantoms already mentioned. A woman had been seen walking through a wall. The disturbing apparition of a shaking man appears on the first floor. And a spectral cat and dog have been seen chasing each other in the halls of the castle. With all this activity it’s little wonder why so many consider Pengersick Castle to be the most haunted house in Cornwall. Pengersick Castle in the small coastal village of Praa Sands, is a popular tourist destination. And is known for so much more than its ghosts. The castle is surrounded by well manicured gardens and beautiful natural landscape. Pengersick Castle is also a favoured location for couples who want a memorable place to pledge their lives to each other. The Castle also has the facilities for private parties, as well as corporate functions. Whether you’re looking for a venue to host your special day. Or you’re looking to have a paranormal experience, a visit to Pengersick Castle is one you’ll not soon forget. 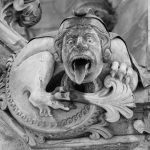 Here's an extensive list of Glasgow's ghosts and hauntings, from MJ STEEL COLLINS - how many have you been to?